The Toronto Marlies took Game 4 of their series against Lehigh Valley, winning 3-1 to complete the sweep of the conference final series. For the first time since 2012, Toronto will play in the Calder Cup final, facing either the Texas Stars or the Rockford IceHogs. Andreas Johnsson led the way with a pair of goals, boosting his total for the playoffs with six, tying him with Carl Grundstrom for the team lead in that category. With the Phantoms pressing for the equalizer late in regulation, Trevor Moore iced the game with an empty net goal. Garret Sparks stopped 19 of 2 shots for the victory. The Marlies have now won nine consecutive playoff games. “Everyone’s happy. 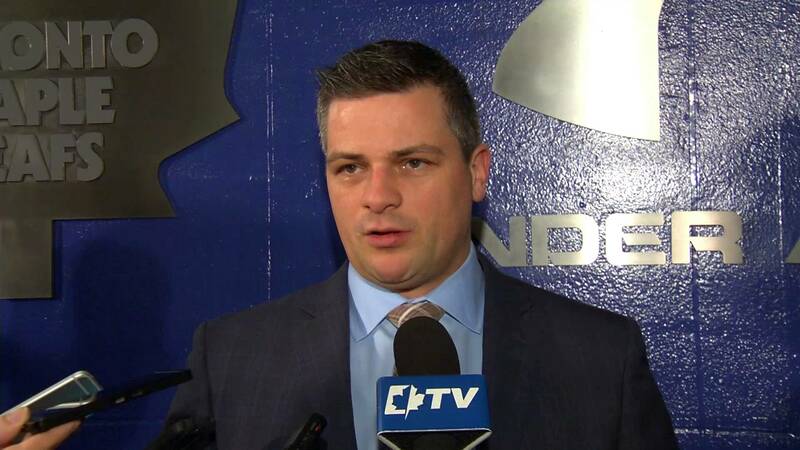 Whether you’re someone that’s just gotten here or someone who’s been here for a while like myself you finally get over that hump and you feel something special brewing around here even just to get to the Finals is just a heck of an accomplishment,” coach Sheldon Keefe said.